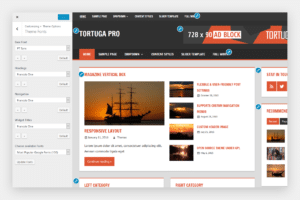 Tortuga Pro is an add-on plugin for Tortuga and adds advanced customization settings, including custom colors, custom fonts, site logo, footer widgets and extra navigation menus. 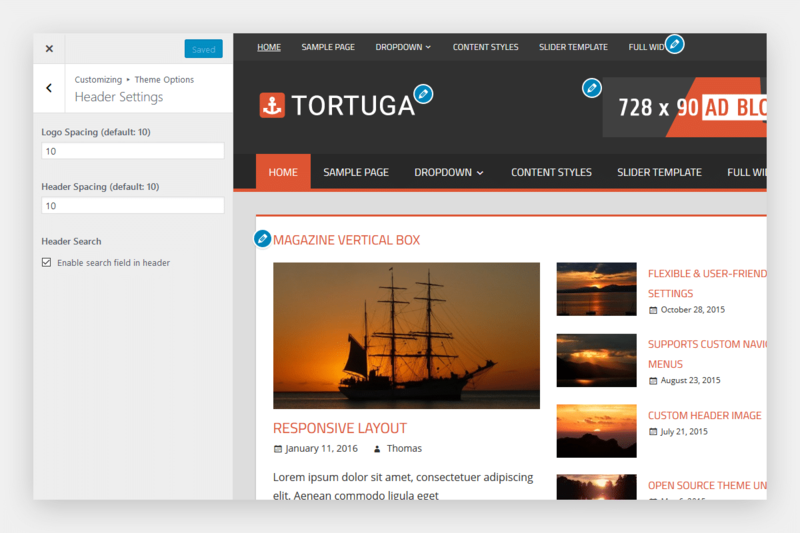 Tortuga Pro adds two new sections for changing colors and typography in the Customizer. 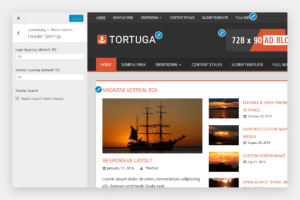 You can easily change colors of header, links and buttons, navigation menus, titles, widgets and footer areas. 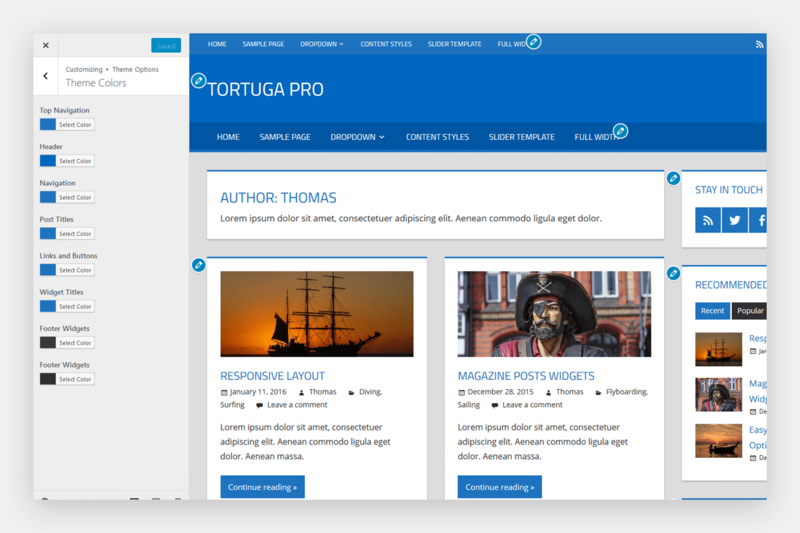 Choose a font for the content, titles and navigation menus of your website. 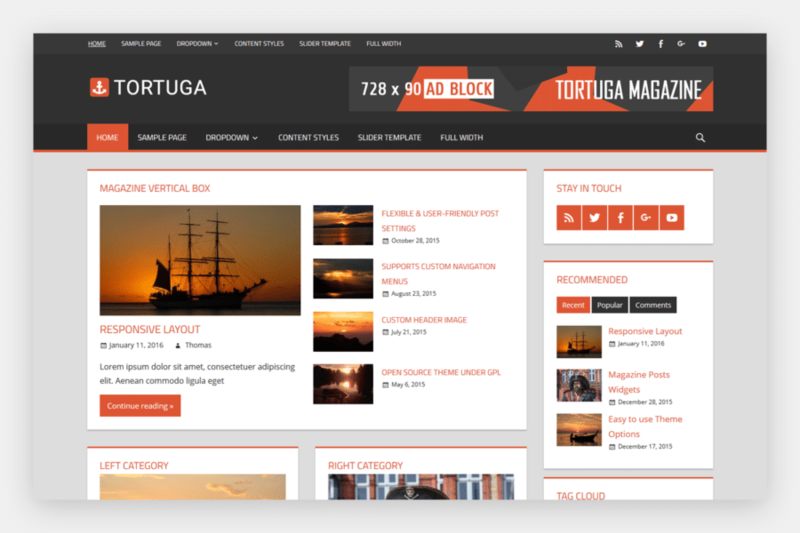 You can select from 650+ Google Fonts. Purchase our Pro Add-ons and get access to all features and customization options. We will refund 100% of your money if you are not satisfied. 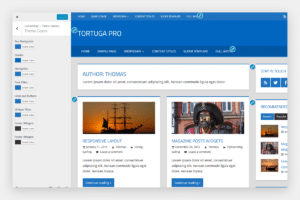 We sell our products with a license for updates & support. You can renew your license at a 30% discount for continued updates and support. Please also see our Pricing & Details page for more information and FAQ about our products.